Silver - Jasper There are 2 products. Jasper provides a strengthening energy for the emotional body, easing stress and producing a calm stability. There is a wide variety of Jaspers, characterized by color, form, and similarities. Jasper is a stone of grounding and stability, providing comfort and security, strength and healing. Its presence balances the aura to a level of wholeness and peace. Most often found in USA. An impressive ring of the red jasper and silver composition. 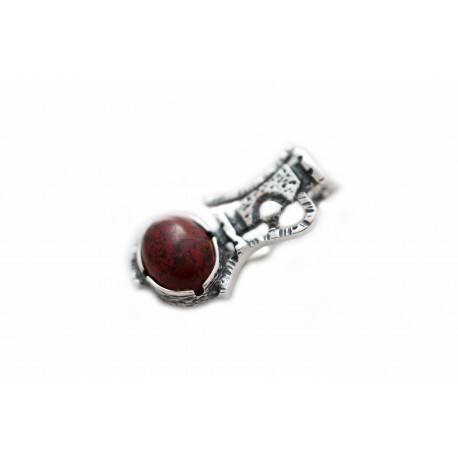 Coined silver earrings with the red jasper rock. The earrings' shape and the coined silver patterns are inspired by the folk art of ancient times.